Chic, vintage and in demand this pedestal style candleholder is worth adding to any interior. 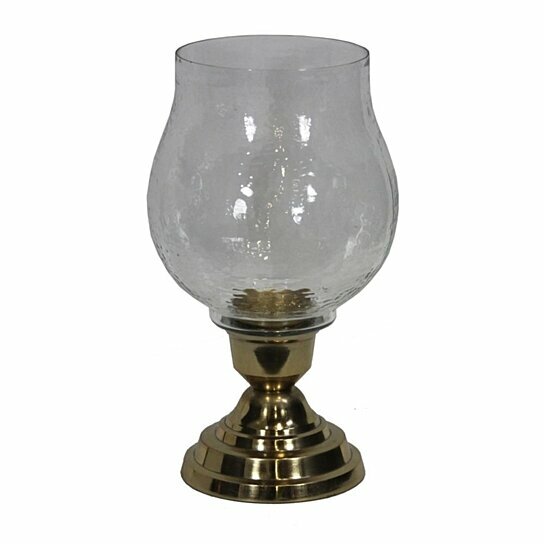 This golden color candleholder will suit range of home interior and every theme. This is perfect addition to festive decorations. The candleholder base is made from metal and painted in gold. The pedestal glass on top has hammered design on it. This candleholder can be placed on tabletop like mantel, console table, side table and end table. You can get this candleholder for future festive decoration, birthday celebration or any outdoor celebration. You can get this candleholder for any home, any celebration or any theme decoration.